1. Eligibility: No purchase necessary. Entry in the contest will only be considered eligible by participants 18 years of age or older at the time of entry. Participants must be legal residents of the State Of Michigan. One (1) entry per person will be accepted. Employees of Townsquare Media LLC, their advertising or promotion agencies, LaFontaine Ford, those involved in the production, development, implementation or handling of this contest, any agents acting for, or on behalf of the above entities, their respective parent companies, officers, directors, subsidiaries, affiliates, licensees, service providers, prize suppliers any other person or entity associated with the Giveaway (collectively Giveaway Entities) and/or the immediate family (spouse, parents, siblings and children) and household members (whether related or not) of each such employee, are not eligible. All U.S., federal, state and local laws and regulations apply. 3. Agreement to Official Rules: Participation in the contest constitutes entrant full and unconditional agreement to and acceptance of these Official Rules and the decisions of the Sponsor (WJIM-FM), which are final and binding. 97.5 NOW FM reserves all rights to this contest, and may at any time change the way in which the contest is executed. Winning a prize is contingent upon fulfilling all requirements set forth herein. Winner must comply with all of the rules of the Contest, including, but not limited to, any restrictions on age and/or residency, and have not committed any fraud or deception in entering the Contest or claiming the Prize. The winner must affirm and represent that he/she is not an employee or agent of the Station or any sponsor of the Contest and is not a member of the same household of any such employee or agent. When participating in the Contest via phone, the entrant acknowledges that any and all calls on the contest line can be recorded for playback on any and all Townsquare Media stations. 4. Entry Period: The entry period for the Contest begins Tuesday, August 28th 2018 and goes through September 13th 2018 at 11:59 pm. From Tuesday, August 28th to Thursday, September 13th, WJIM-FM will promote listeners to get entered into the Contest.  WJIM-FM will promote that there are three ways in which to enter the contest: Liking a specific post on the LaFontaine Facebook Page, Registering during an official 97.5 NOW FM Welcome Week like broadcast (not all live broadcasts that WJIM-FM will do during the entry period will be part of the Contest promotion. Specific remotes involved in the contest will be noted on the WJIM-FM website, and will be noted on-air by DJs throughout the promotion period), or participating in the social sweep promotion at 975now.com. Listeners may participate in one or multiply means of entry to be entered into the contest. All those who enter the Contest are entering to be one of ten qualifiers. A total of ten qualifiers will be present the day of the giveaway for a chance to win the grand prize: a two year lease on a 2018 Ford Escape from LaFontaine Ford. The day of the Grand Prize drawing, 10 cars will be lined up. In the trunk of each car will be a prize. Nine of the ten trunks will contain a “consolation” prize, valued at no more than $250 (prizes will vary). One of the ten trunks will contain the Grand Prize: a key that unlocks a car, which represents the Grand Prize lease. 5. Drawing Winner: Thursday, September 14th, 10 qualifiers will be randomly drawn from all methods of entry and will be notified of their qualification in participating in the Grand Prize Drawing. Qualifiers will be notified that they must be present at LaFontaine Ford (5103 S Cedar St, Lansing, MI 48911) on Saturday, September 15th at Time TBD to participate in the Grand Prize Drawing. As qualifiers arrive, they will be given a number that coordinates with when they arrived (the first qualifier will receive the number 1, the second will receive the number 2, etc.). This number is only used as representative of the person, it does not designate the order in which qualifiers participate in the contest. Once all 10 qualifiers have arrived and been given a number, the numbers will be placed into a box/bag/bowl and mixed up. A representative will then randomly select numbers, this determines the order that the qualifiers get to choose which car they think contains the key to unlock the car and win the Grand Prize. In the order they’re randomly selected, qualifiers will choose a car. Once all qualifiers have selected a car, they will be instructed to open the trunk and reveal their prize. The qualifiers that opens the trunk that contains a car key will be determined the winner of the Grand Prize; a two year lease of a 2018 Ford Escape from LaFontaine Ford (2 year lease w/ 10,000 miles per year [25 cents will be charged to the winner for any overage]). Winner status and/or prize is non-transferable. Winner is responsible for any mileage overage. Winner must also be approved for top tier credit through Ford Motor Credit. Winner is solely responsible for maintaining proper insurance, title, and plate fees for the vehicle. Winner may opt to choose the cash value of the prize instead of the lease of the vehicle. The winner would then receive $3,500 (value of the prize) instead of the lease. Winner is responsible for any and all applicable taxes for the lease or the cash prize. 6. In consideration of the receipt of the Prize, the winner agrees to be solely responsible for any and all taxes and/or other fees, including, but not limited to, any federal state or local income taxes, that are or may become payable as a result of participating in the Contest and/or receipt of the Prize. The winner is responsible for any taxes and fees associated with receipt or use of a prize. Federal 1099 (Miscellaneous Income Form) will be issued to the winner, if needed, for the determined Federal/State/Local income tax reporting periods by LaFontaine Ford, the prize provider. 7. General Conditions: In the event that the operation, security, or administration of any on-air registration period is impaired in any way for any reason, including, but not limited to weather, fraud, virus, or other technical problem, the Sponsor may, in its sole discretion, suspend the registration to address the impairment and then resume the Giveaway in a manner that best conforms to the spirit of these Official Rules. The Sponsor reserves the right in its sole discretion to disqualify any individual it finds to be tampering with the entry process or the operation of the Giveaway or to be acting in violation of these Official Rules or in an unsportsmanlike or disruptive manner. Any attempt by any person to undermine the legitimate operation of the Giveaway may be a violation of criminal and civil law, and, should such an attempt be made, the Sponsor reserves the right to seek damages from any such person to the fullest extent permitted by law. The Sponsor’s failure to enforce any term of these Official Rules shall not constitute a waiver of that provision. The winner agrees to allow the Station and/or its designees the right to use winner’s name, likeness, portrait, recorded voice and/or biographical material for an unlimited period of time in order to advertise, promote or publicize the Station and/or the products and services of any of its designees. The Station is not the manufacturer or distributor of the Prize. With respect to any claims that the winner may now have, or that he/she may subsequently acquire as a result of the possession and/or use of the Prize, the winner acknowledges and agrees that he/she shall look solely to others in the chain of production and distribution of the Prize to the exclusion of the Station and any sponsors of the Contest. The winner expressly releases the station, and any sponsors of the contest, and their respective officers, directors, agents, parent companies, subsidiaries and employees, from any and all claims, demands and/or causes of action of any nature or kind whatsoever, whether presently known or unknown, foreseen or unforeseen, that he/she may have, or may subsequently acquire, as a result of participating in the contest and/or receipt of the prize. 8. Release and Limitations of Liability: By participating in the contest, entrants agree to release and hold harmless the Sponsor and Giveaway Entities from and against any claim or cause of action arising out of participation in the contest or receipt or use of any prize, including, but not limited to: (a) unauthorized human intervention in the contest; (b) technical errors related to computers, servers, providers, or telephone or network lines; (c) printing errors; (d) lost, late, postage-due, misdirected, or undeliverable mail; (e) errors in the administration of the contest or the processing of entries; or (f) injury or damage to persons or property which may be caused, directly or indirectly, in whole or in part, from entrant’s participation in the contest or receipt of any prize. Entrant further agrees that in any cause of action, the Sponsors, and contest. Entities liability will be limited to the cost of entering and participating in the contest, and in no event shall the Sponsor or the Contest Entities be liable for attorney fees. Entrant waives the right to claim any damages whatsoever, including, but not limited to, punitive, consequential, direct, or indirect damages. 9. Disputes: Except where prohibited, entrant agrees that any and all disputes, claims and causes of action arising out of, or connected with, the Contest or any prize awarded shall be resolved individually, without resort to any form of class action, and exclusively by the appropriate court located in New York. All issues and questions concerning the construction, validity, interpretation and enforceability of these Official Rules, entrant’s rights and obligations, or the rights and obligations of the Sponsors in connection with the Contest, shall be governed by, and construed in accordance with, the laws of New York, without giving effect to any choice of law or conflict of law rules (whether of New York or any other jurisdiction), which would cause the application of the laws of any jurisdiction other than New York. 10. Contest Results: To request the name of the winners, send a separate, self-addressed stamped envelope (stating the specific Giveaway you are requesting the winners for) to Townsquare Media List, c/o Townsquare Media LLC, 240 Greenwich Avenue, Greenwich, CT 06830. Requests must be received within thirty (30) days from the end date of the applicable Giveaway.